Learning Korean: Which Program is Right for You? Considering that fact that Korean is often regarded as one of the most difficult languages for native English speakers to learn, those that move to Korea might be intimidated to begin the arduous and often frustrating journey of learning the local language. But, there can be many benefits to learning Korean. Getting a grasp on the basics makes expat life far more comfortable and allows one to better understand the culture and feel more integrated with society. Then there are the added bonuses of more job opportunities and bragging rights. Because, let's face it... how many non-Koreans can actually say that they speak Korean? 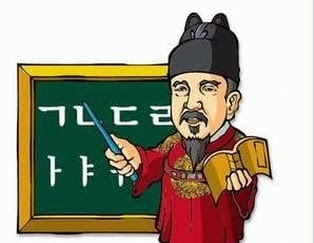 Committing oneself to studying is the first and often most difficult step to learning Korean. So what about after that? For those of us who grew up in a country where there is little to no priority on learning a second language, it's difficult to know which study methods and programs work best to memorize vocabulary words, comprehend unfamiliar sentence structures, and perfect one's pronunciation. And because everyone learns differently, it might take a bit of trial and error to figure out which approach is best for you. Although I am still very much a beginner, I have attempted a number of techniques and attended a variety of classes to find what works for me. Below are my personal experiences, including the pros and cons of each. I'm currently working full time and would like to learn Korean in the evening/weekend. If anyone is interested, we can form a study group or get a Korean tutor together. My level is probably intermediate and I think I can improve better if there is somebody studying with me (more motivation and fun!). Are you looking for a place for your private lessons and study on your own or with your friends? The MOIM has a commitment to provide the best possible environment. It is a quiet, cozy and comfortable place to study and teach, with free coffee, tea, internet and English speaking staff. Looking for Library near Choryang-dong to Study Korean & Spanish? Does anyone know of a library near Choryong-dong that has English books for learning Korean and Spanish? Any help would be much appreciated, thanks.